What Are the Treatments for a Bruised Swollen Eye? A bruised swollen eye may occur as the result of an accident, sports injury or unfortunately a fight. A “black eye” is actually severe bruising underneath the skin that appears to be black. It can occur simultaneously with swelling. A bruised and swollen eye may be the indicator of a skull fracture. A black eye is typically treated with first aid measures to prevent serious damage to the eye. Applying a cold compress to a bruised swollen eye can help to relieve inflammation and reduce swelling. A simple cold compress can be made by placing ice in a clean dry towel or using a bag of frozen vegetables. The cold compress should be applied to the eye with very gentle pressure for approximately 20 minutes at a time. 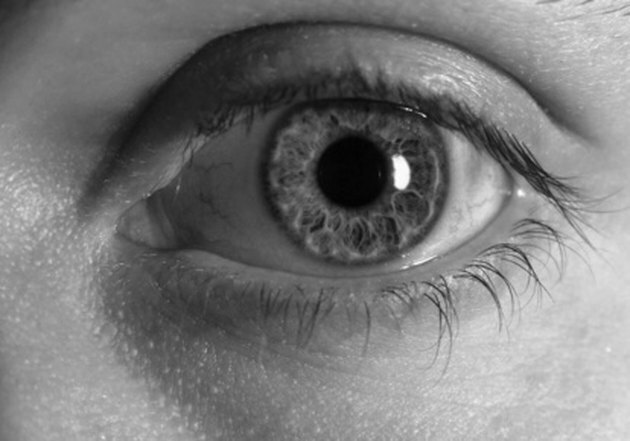 The patient should take care not to press on the eye to avoid causing further damage. A cold compress should be applied 24 to 48 hours after the injury. In addition to cold compresses, warm compresses are effective in returning the damaged skin to its natural color. The University of Maryland Medical Center advises that patients apply a cold compress for the initial 24 to 48 hours, then switch to a warm compress. A warm compress can be created by saturating a clean towel with warm water and wringing out the extra water. Patients should apply the warm compress to the eye for 20 minutes or until the towel cools. Initially, a bruise will appear as red, then turn black. After applying warm compresses, the bruise will turn purple, yellow and brown before eventually disappearing. It may take up to several weeks for a bruise to disappear completely. It is generally a good idea to seek medical attention after the occurrence of bruised swollen eye to get a full examination and get any necessary treatment for additional eye injuries. If the patient begins to experience bleeding in the eye or pooling of blood, the National Institutes of Health recommend covering the eye with a clean towel or gauze and seeking treatment immediately. Patients should visit a nearby emergency room and follow up thereafter with their physician or ophthalmologist if necessary.